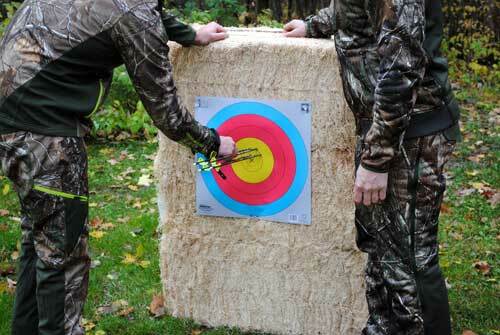 American Excelsior’s banded 2 bale target is designed to provide a 34” x 32” face with 18” of highly compressed Excelsior for stopping power…even for penetrating carbon arrows. Remember, excelsior fibers can be dampened after long use, which causes the fibers to expand and bring the unit back to its original strength. 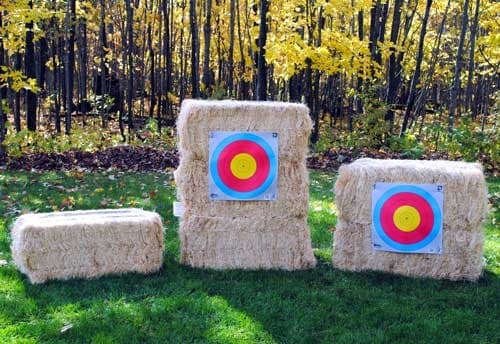 For more information about Curlex Power-Stop archery targets, call toll free: (866) 934-2377.